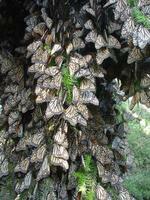 Monarch Butterfly | How Much Space Does a Monarch Colony Need? 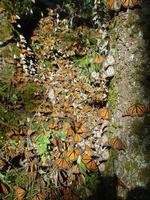 How Much Space Does a Monarch Butterfly Colony Need? However, the monarch colony will not stay in the same place all season! 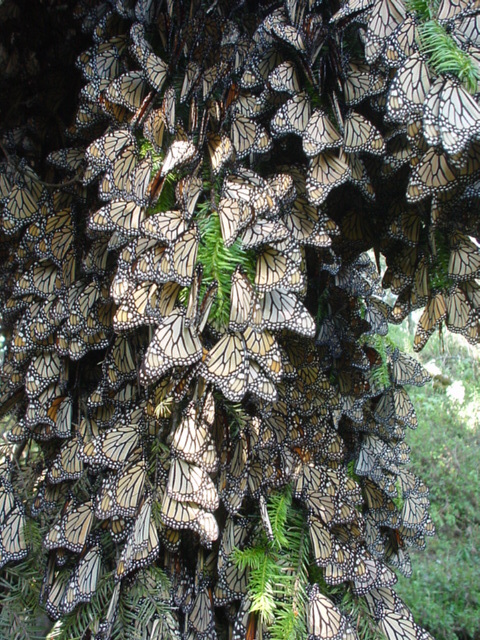 In fact, according to Eligio Garcia, former Sanctuary biologist, "If we consider all the land the colony occupies--from the time the butterflies arrive in November until their departure in March--it has been estimated that a colony will utilize 60 hectares (148 acres)." This means that the colony uses some 60 times more land during the season that it does at any single time of the season! The colony moves because, as the season changes, so does the climate. 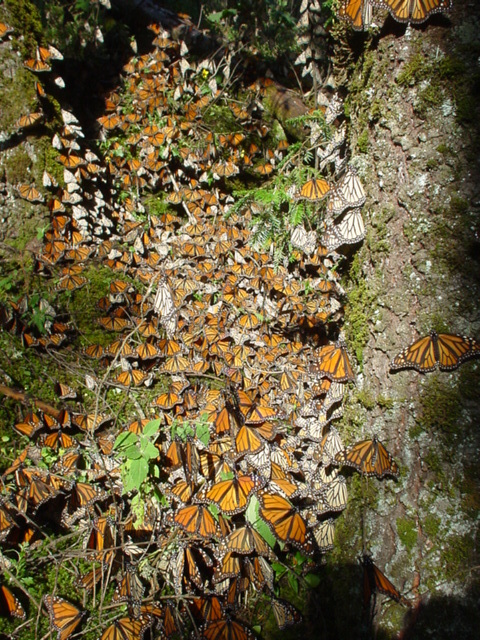 In order to survive, the butterflies must move to habitat that suits their ecological needs. They need to stay dry, warm enough to avoid freezing, avoid wind, rain, hail and predators, and have enough sunshine, water, humidity, etc. 2) Now measure an area that is 60 hectares (148 acres) in size. You will probably need land on and around your school grounds. This is the area the butterflies will need all season. 3) Picture what would happen if a butterfly colony needed to move through this area during the over-wintering season. 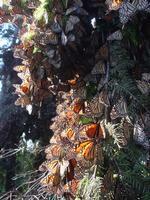 As a class, discuss how the school's neighbors might feel if a colony of butterflies needed their land. How do you think people might react? 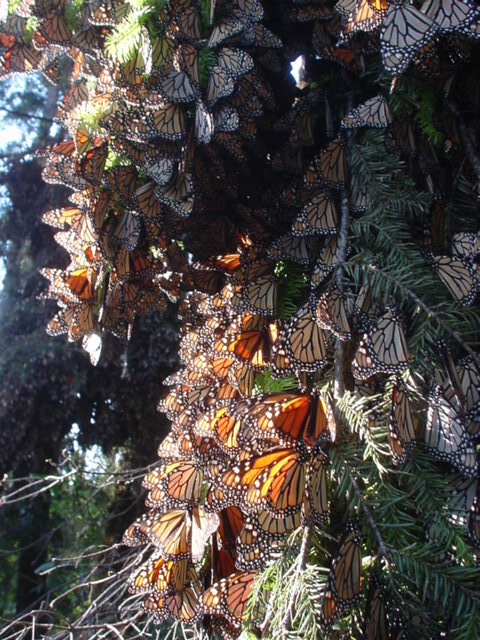 4) As you learn more about the monarchs at the wintering sites, watch for the way the people in the region are affected by the monarchs. List the ways the butterflies help the people, as well as the ways the butterflies interfere with their lives. The behavior of individual organisms is influenced by internal cues (such as hunger) and by external cues (such as a change in the environment). How to use mental maps to organize information about people, places, and environments. Copyright 2001 Journey North. All Rights Reserved.